Harris, Robert. Fatherland . Random House 1992. Harris, Robert. Fatherland . Translated to the German as Vaterland . Heyne 1994. Harris, Robert. Fatherland . Translated to the Spanish, Atlántida 1992. Harris, Robert. Fatherland . Translated to the French, Pocket 1996. Harris, Robert. Fatherland . Random House 1996. What if: Nazi Germany met greater success invading Russia, and after discovering that Britain had broken the Enigma code, forced a peace in the west. Summary: A cop in 1964 Nazi Berlin investigates an apparent suicide and finds himself unwrapping a 20-year-old cover-up of what happened to the Jews. 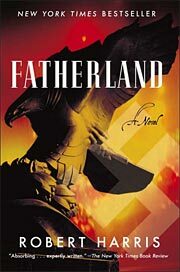 Comments: Basis of the 1994 HBO movie Fatherland , the making of which is described in Christy Campbell's w88 android, q.v. Subsequently produced by the BBC in 1997 as a two-hour radio drama, apparently more faithful to the novel than was the movie. Published: Random House 1992 (0679412735w88 androidBUY), 1994 (0517117215BUY), 2006 (0812977211BUY), 2010 (1409021289BUY), 2012 (0099576570BUY); Hutchinson 1992 (0091748275); Thorndike 1992 (1560545569, 1560548959); Arrow 1993 (0099263815); Harper 1993 (0061006629BUY), 1994 (0061008818BUY). Translation: Czech by January Nemejovsky as Oteina , Riopress 1993. Translation: Danish by Tage Dalsgaard as Fædrelandet , Lindhardt og Ringhof 1992. Translation: Finnish by Juhani Lindholm as Kolmannen valtakunnan salaisuus , Otava 1996 (9511140620). Translation: French by Hubert Galle as Le sous-marin noir , Julliard 1992 (2260009786). 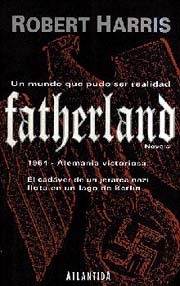 — As Fatherland: roman , Julliard 1993 (2260000010), Pocket 1996 (2266071173). Translation: German by Hanswilhelm Haefs as Vaterland , Haffmans 1992 (3251002090), 1995 (3251002805); Heyne 1994 (3453072057), 1995 (3453074661); Bertelsman 2005 (3570068331). Included in Hochspannung. Vaterland / Die Scorpio-Illusion , Heyne 1998 (3453140532). Included in Vaterland / Enigma. Zwei Romane in einem Band , Heyne 2001 (3453177452). Translation: Greek by Xeni Lekatsa as Fatherland , Psichogios 1993, 1996. Translation: Italian by Roberta Rambelli as Fatherland , Mondadori 1992 (8804361093), 1993 (8804374640). Translation: Norwegian by Finn B. Larsen as Fedreland , Cappelen 1992 (8202134706). Translation: Polish by Andrzej Szulc as Vaterland , Zysk i s-ka 1998, Ksပżnica 2008 (9788324575428). Translation: Portuguese by A.B. Pinheiro de Lemos as Pátria Amada , Record 1993. Translation: Portuguese by Maria Luísa Vaz Pinto as Pátria , Bertrand 1993 (9722507109), 1994, 1995. Translation: Romanian as Vaterland (Patria) , [[publ. unknown]]. Translation: Russian as Faterland , [[publ. unknown]]. Translation: Spanish as Fatherland , Atlántida 1992 (9500810905), Atlántida 1994 (9500812428). Translation: Spanish by Rafael Martín Trechera as Patria , Ediciones B 1993 (844063319X), Ediciones B 1996 (8440661843). Translation: Swedish by Hans Berggren as Faderland , Forum 1993 (9137103369), Bonnierförl 1994 (9143020348), MånPocket 1994 (9176430731). Translation: Turkish as Babavatan , Ümit Yayincilik 1993 (9757362107).